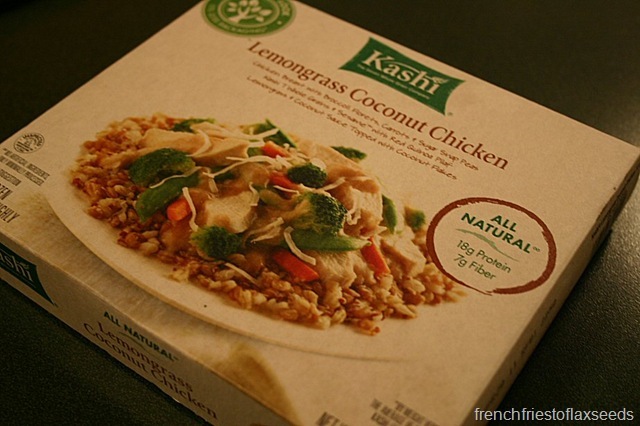 The Kashi Lemongrass Coconut Chicken frozen meal I had picked up while I was in the US on Remembrance Day. I figured tonight was as good a night as any to give a try, so I quickly rescued the bread from the toaster before it was browned, and set out heating up my dinner. 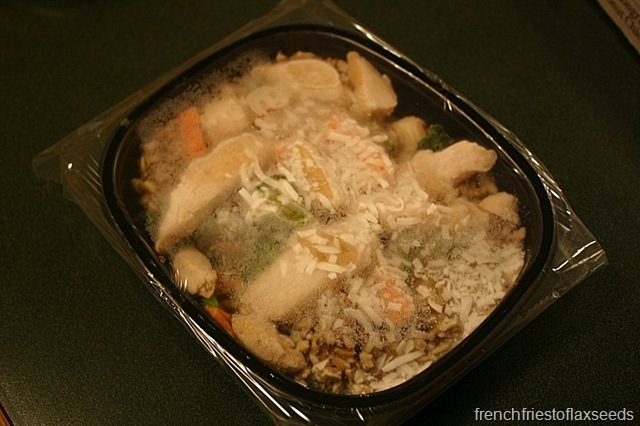 It looked like your typically packaged frozen meal. I had to check more than once to confirm the white shredded stuff was actually coconut, because it sure looked like shredded cheese, which would make no sense on a lemongrass coconut flavoured dish. I heated the meal per package instructions, then figured I’d plate it up so it at least felt like a proper dinner. Keep in mind that is plated on a side plate, not a dinner plate, so we aren’t talking a heap of food. I know, I know, packaged foods are always higher in sodium, but come on, is it really necessary? I think not. 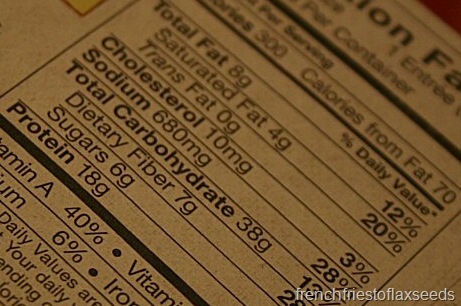 And it’s a shame too, because the rest of the nutritional stats are pretty decent. Sadly, these are not available in Canada, because it wouldn’t be too bad of an option if you were in need of a quick meal. 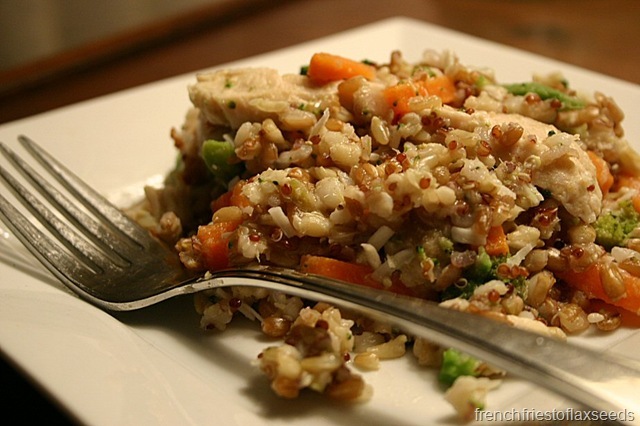 Keep in mind though that it is on the small side, so you may want to add a little something else to round out your meal. My first foray into Kashi products other than cereal and granola bars – not too shabby. Perhaps I’ll pick up a different one to test out next time I find myself in the US of A.
I’ve had that one, and I concur with your assessment. Actually, most frozen meals just aren’t enough food for me. I actually called Healthy Choice to complain (as nicely as I could) when one of their frozen meals had only 3 pieces of chicken. 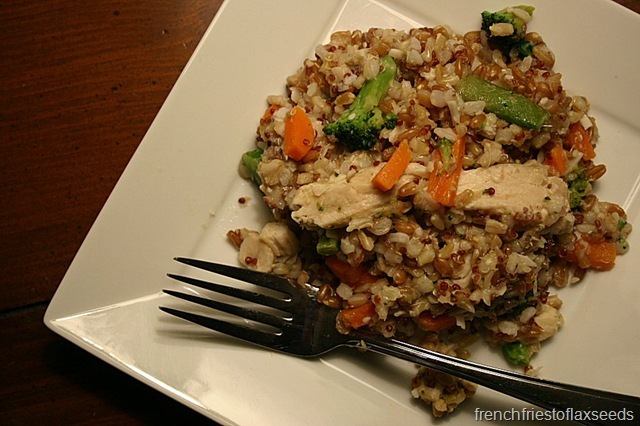 The rep was very nice, but it turns out that the meal wasn’t defective; it’s supposed to only have 3 pieces of chicken! Hmphh! And if you think that sodium is bad, check out the Evo burritos. One has almost half your RDA!! 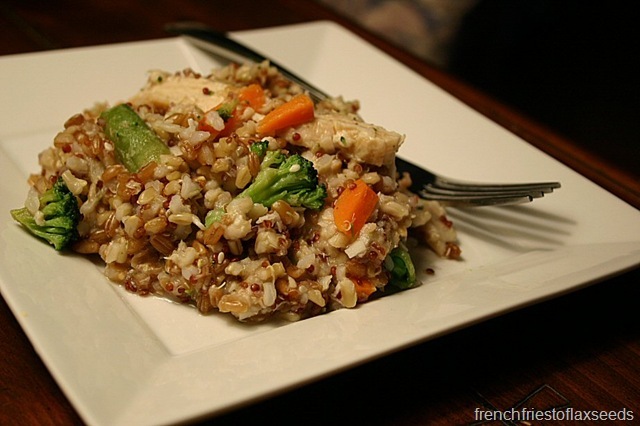 I really like the Kashi frozen meals. The mayan harvest is my fave. They are a little small, though so I always serve them over a pile of broc or mixed veg. You’re right, they’re great for quick, easy meals!